I have wondered how in the world I am going to get my swimsuit, short-sleeved, sans sweater summer look this year. But I think I've got the kick start that I've been looking for. It's called IdealShape and it's a program that lets you stop dieting by simply replacing one meal and replacing it with a milkshake that has some powerful natural hunger-blocking ingredients that will not only help you lose weight, but will enable you keep it off as well! Have you ever had that unsatisfied feeling when you are trying to be good, but no matter what you're doing, the only thing that matters is that you get something to eat NOW. I know I have and when that happens, I'm looking to feel satisfied. That's when the overeating comes in. I know, there are so many diet programs out there, but I was really impressed with this one because it has a proprietary appetite control formulation called Slendesta which has been shown to be the most powerful natural appetite-curbing substance out there. Slendesta is derived from.....wait for it...... potatoes. Using a water-based, patented process, it is completely stimulant free. It's NOT one of the many "fat-burners" on the market and does not artificially stimulate the metabolism. Not only does Idealshape provide you with incredible nutritional tools, like the shake, to succeed at your weight loss, it also has a complete support system as well. I'm talking about mind-altering techniques that will help you actually see yourself as that beautiful and healthy person you secretly know you are. They are brain training CD's and they have helped IdealShape men and women achieve and maintain weight goals they never thought possible! I haven't read it yet but I'd love to get ahold of the book or CD called 'Think' by David Meine. It's offered by Ideal Shape for $5.00 off the regular price and it helps you unchain the mental power you have within you to succeed with your weight goals. The Shake: I absolutely love this shake. I tried the chocolate and it is fabulous. The taste is wonderful. And it's the easiest shake I've ever blended. It mixes up so well with just the shaker bottle. I'm extremely picky about using a shaker. Normally I don't like using the shakers because I don't think most drinks or shakes mix up well enough, ending up gritty or clumpy, which is definitely not a picnic in my mouth. But this shake mixes well and easily so. And it really does make me feel full for about 3 hours. Of course, I cheat. I use 2% milk rather than the skim or non-fat milk they recommend. But wow, it's really good. I think it would also be tasty with almond milk. The shaker bottle that comes with the Ideal Shape program is the perfect size. You really do feel full for about 3 hours. These shakes will give you that satisfied feeling. For at least 3 hours! Amaazing! 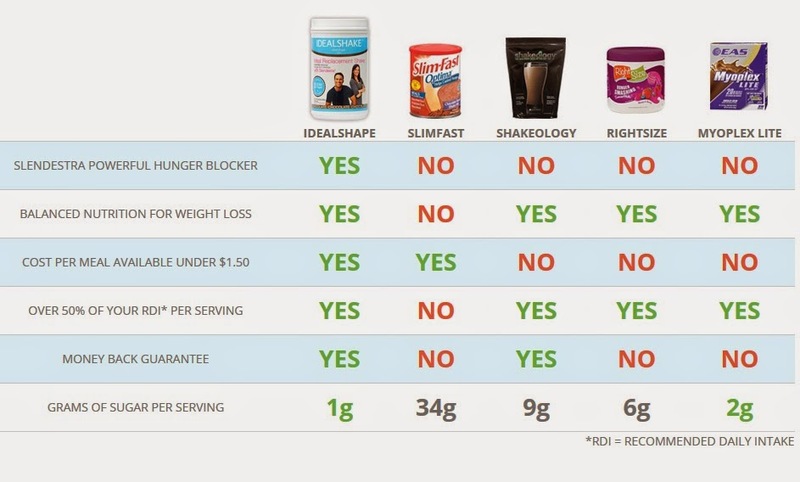 Click to enlarge the two pictures below to see some great comparisons and specific benefits you get from the Ideal Shake. The Bars: I also tried the Ideal Bar in Cinnamon Caramel Crunch Flavor (1 of 3 flavors). It was delicious and has Slendesta, the same hunger blocking technology as the shake. I found it was also good when I had a food craving going on and needed to get it under control. The Supplement: Another great tool is the NaturalShape Hunger Blocker. If taken approximately 30 minutes before a meal it will give you the ability to control your portions and keep yourself in control. It has a full serving of Slendesta plus Resveratrol, Green Tea Extract and Kelp. Something that is stressed very strongly with this program is to drink plenty of water. Because of the nature of the potato protein that swells in your stomach, you need to get fluids in with it for proper absorption and digestion. 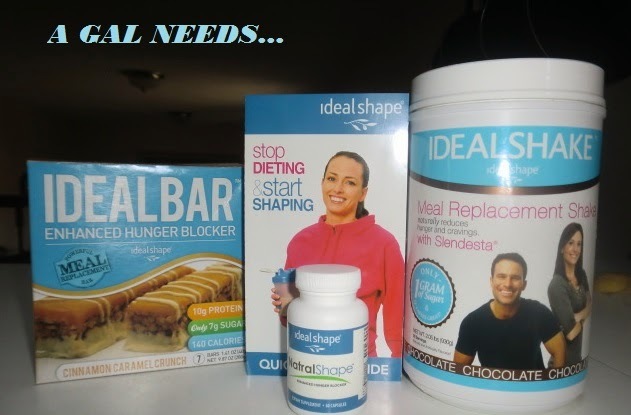 I am very impressed with IdealShape and I'm so glad I got the chance to review it. Like so many of the great products I review, I will definitely be a repeat customer on this one. Interesting product, I have never heard of it before. I need this to lose those last 10 pounds. Sounds like it will work. Cinnamon Caramel Crunch sounds good-I've gotten over trying to looses so much...and just buying a bigger suit...I know NOT the best--but I have WAY more then 10 lbs to loose. I was thinking I need a system like this for the summer. I am going to consider this one. This is the first time I have heard of this product! I will have to try it out and see how it works for me! 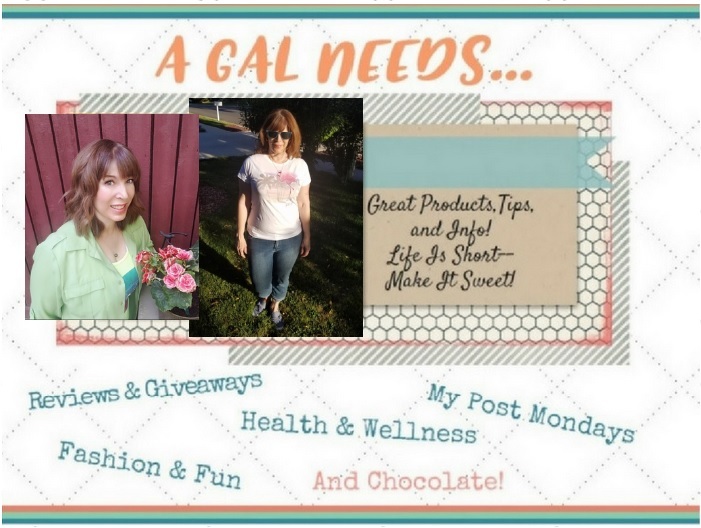 I am always looking for products to help me lose this extra weight! Those bars do sound absolutely delicious!! !I am not big on dieting things but these are intriguing for sure. I haven't heard of this product before, but the idea of hunger-blocking milkshake sounds really interesting. Have to check it out! These sound great-- what are they sweetened with? I am allergic to splenda/sucralose.